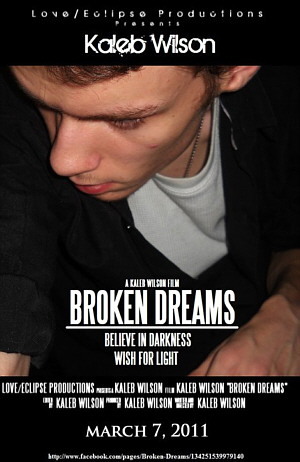 “Broken Dreams” (2011) – A filmmaker’s note. Broken Dreams is a short film that was released to expected low notice and few fans, but the message is still clear and out there. Parkinson’s Disease is a tragic disease of which it is hard to witness someone going through. Making the film was only for the message, no profit is made from it. We should focus more on the ill and lesser off than us more than we have. The world is selfish as of late. I say we can tone it back to where it used to be. Let’s make it right. Comments for “Broken Dreams” (2011) – A filmmaker’s note. are now closed. Movie Vine / News / “Broken Dreams” (2011) – A filmmaker’s note.